The Path To Discover Excellence. What are suspensions? Explain with an example. A suspension is a heterogeneous mixture in which very fine particles (about 10-5 m size) of solid are dispersed in any medium (liquid or gas). In suspension, the solute particles are visible to the naked eye, and remain suspended throughout the bulk of the medium. The Tyndall effect is observed in this mixture. Muddy pond water, smoke coming out of a chimney, chalk-water mixture, coarse lime particles in water are examples of suspension. Learning is tough, but rewarding. Get weekly motivation delivered right to your inbox. When you sign up, you'll get special access to Study Materials, Class Notes,Previous Year Question Papers, Olympiad Materials for leveling up your skills. 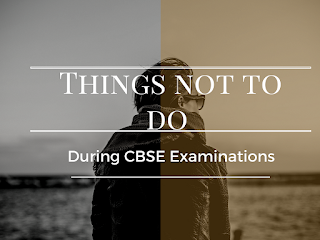 PadhΣye provides NCERT solutions, CBSE, NTSE, Olympiad study material, model test papers, important Questions and Answers asked in CBSE examinations. References to Educational Sites and resources. © 2018 Padheye.com . All Rights Reserved. Designed by BTNT.